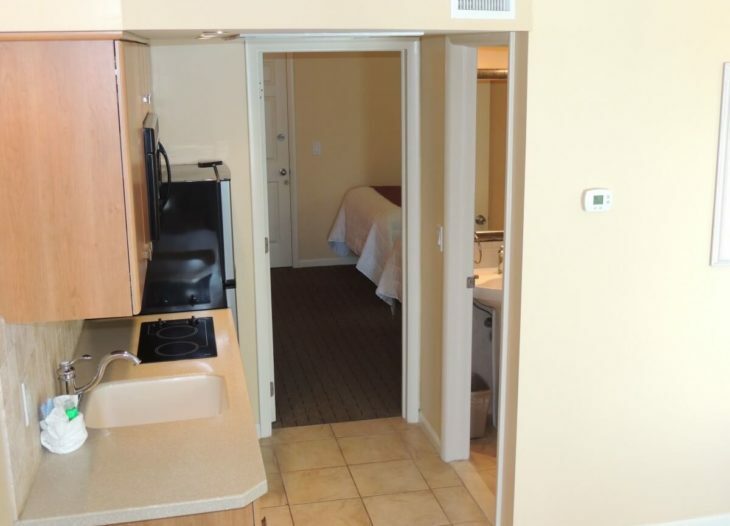 One bedroom deluxe efficiency suite. 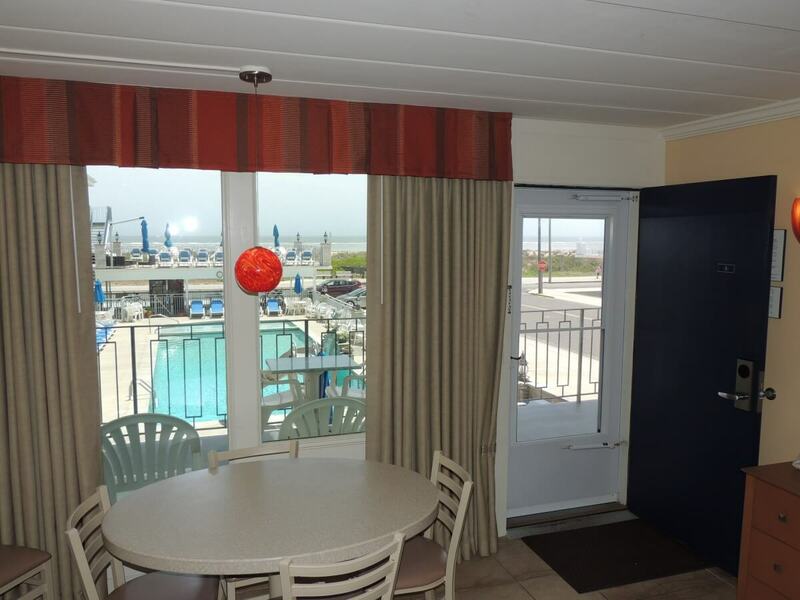 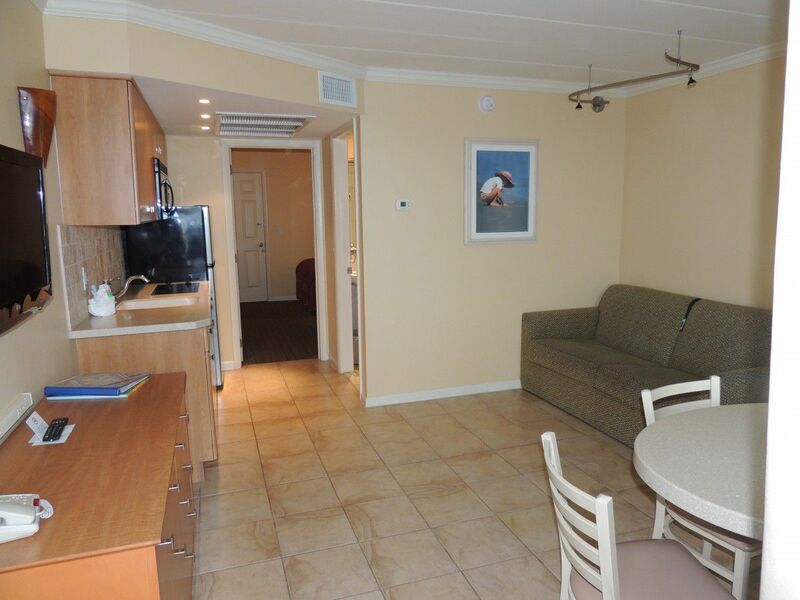 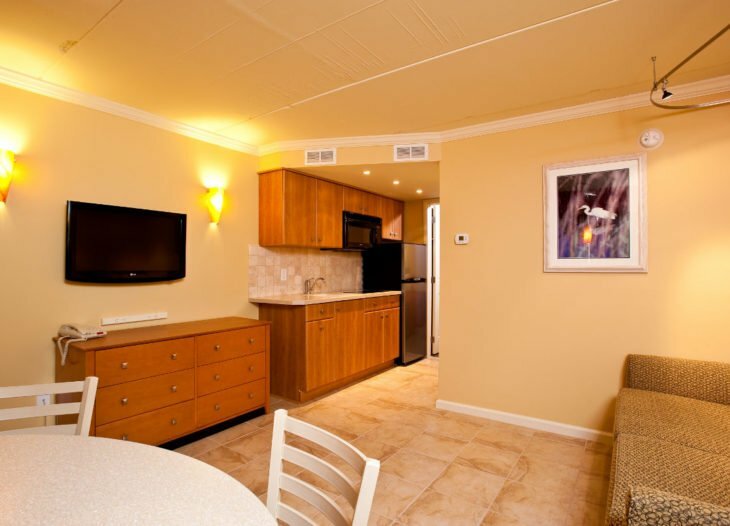 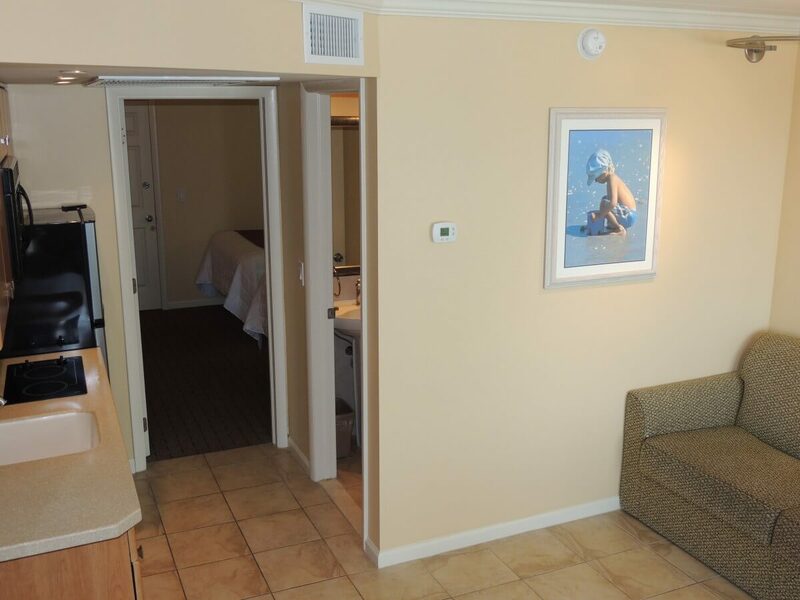 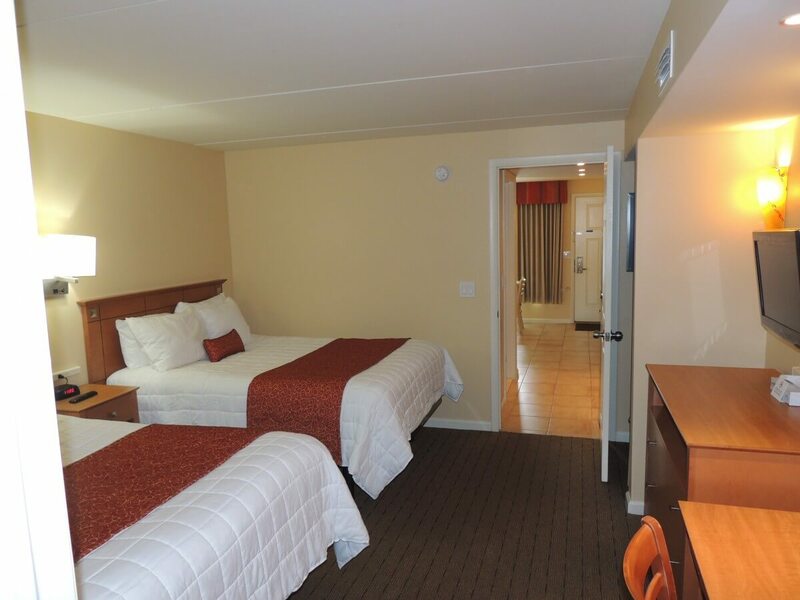 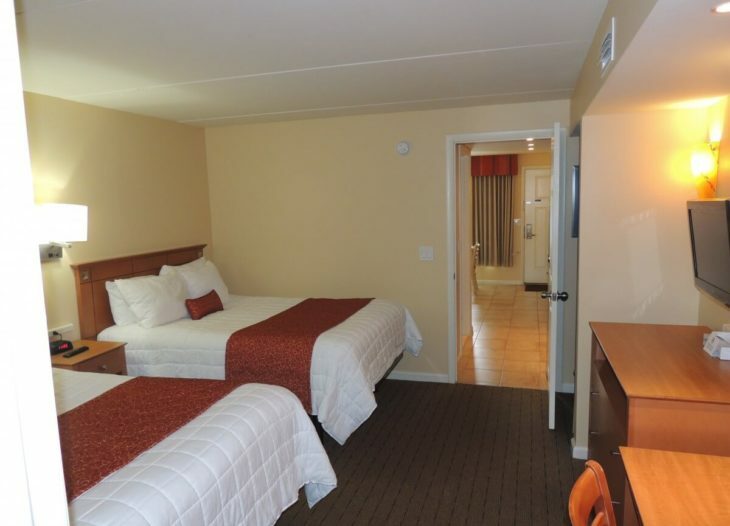 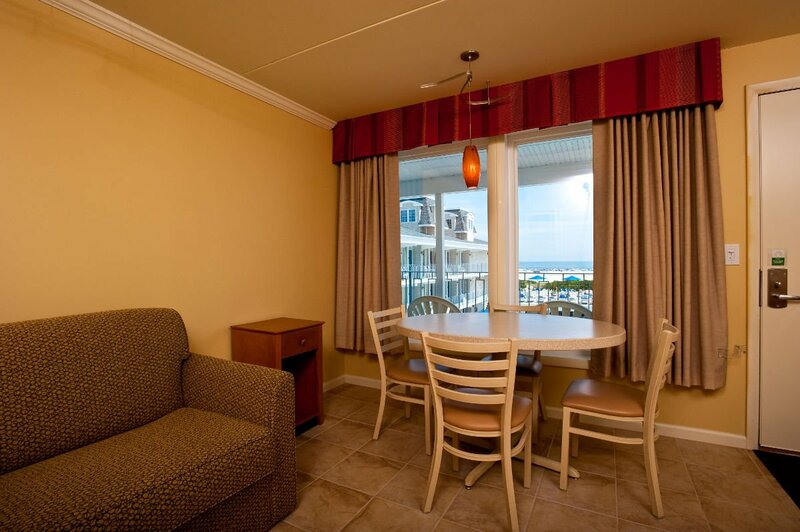 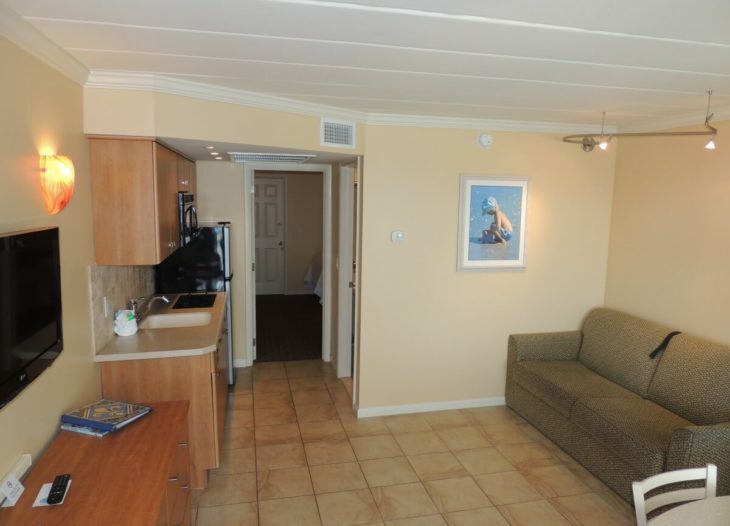 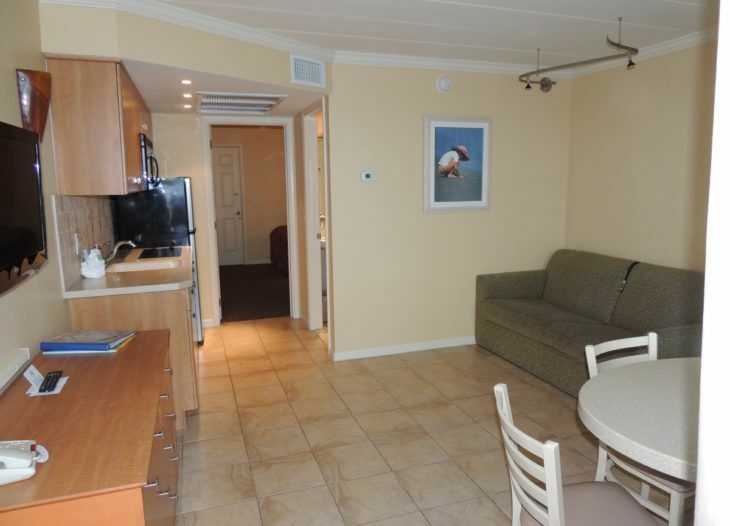 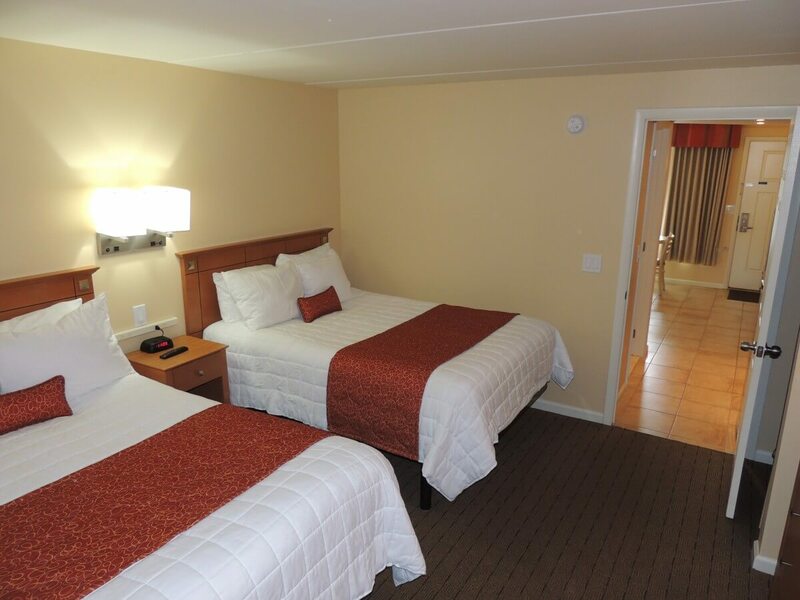 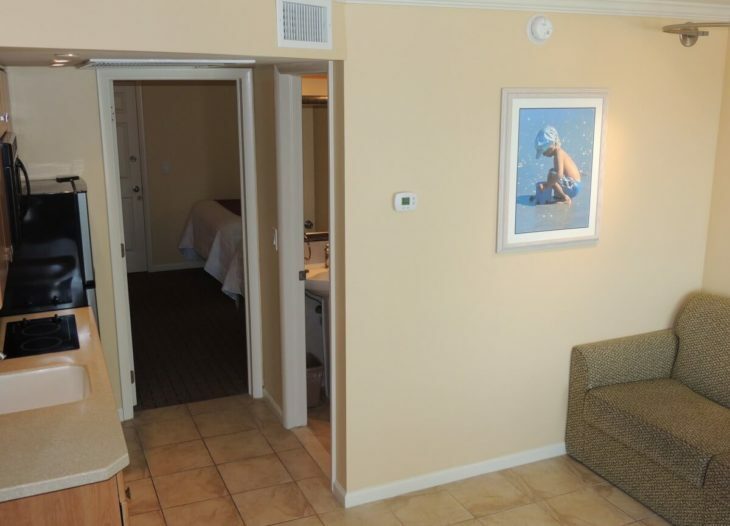 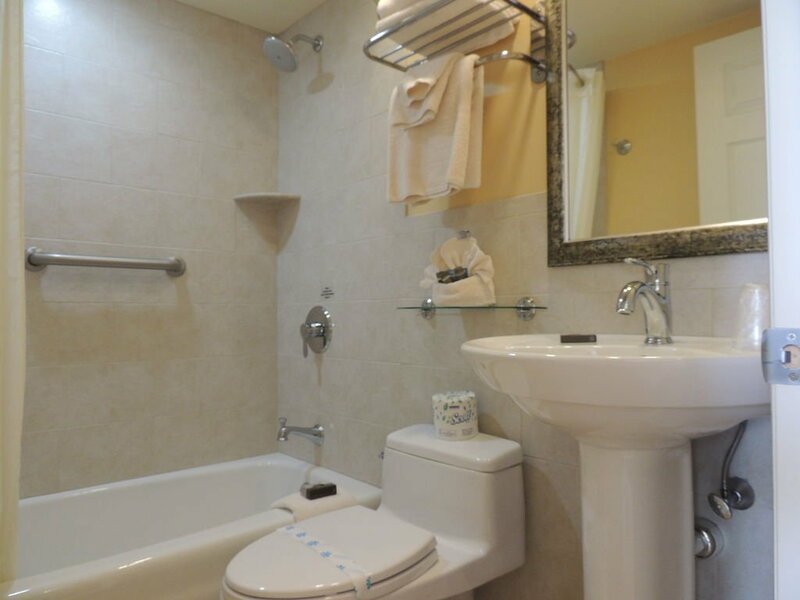 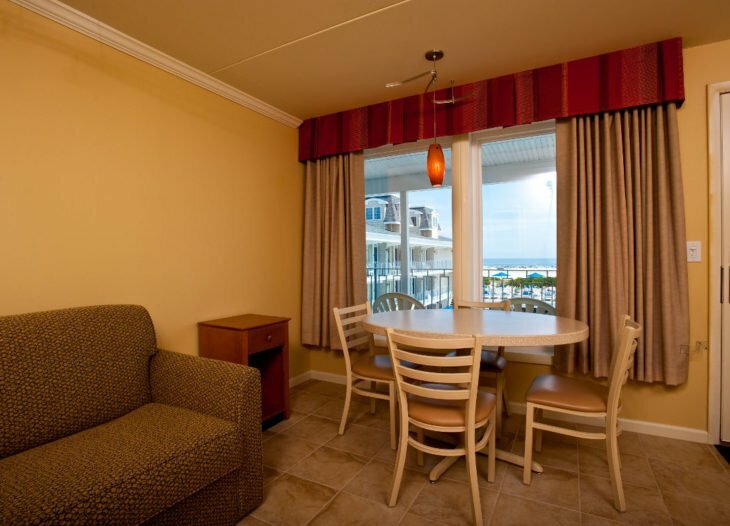 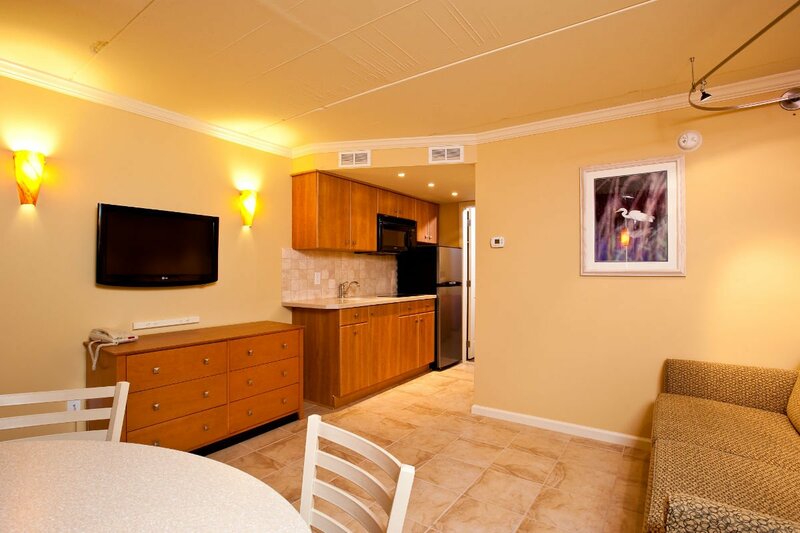 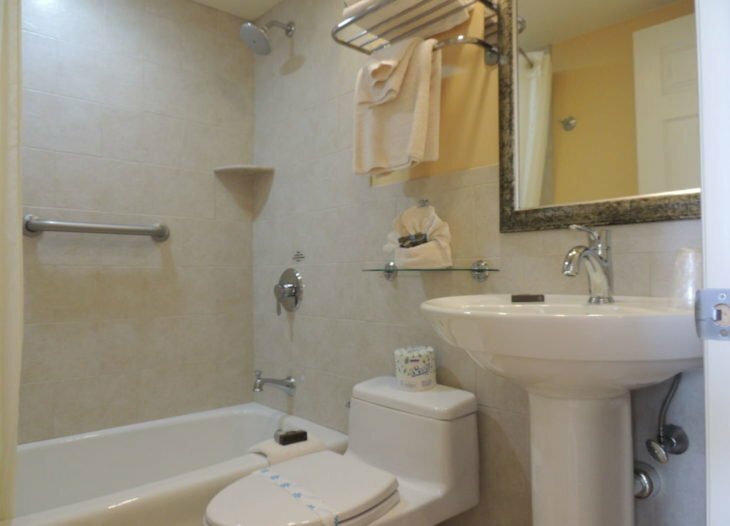 Two double beds, sofa bed, nicely equipped kitchenette, 2 tvs, and central AC. 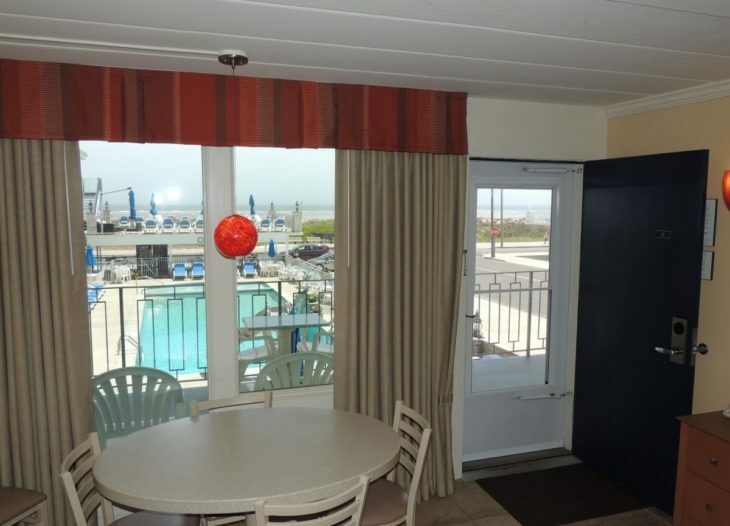 Located over the pool with an ocean front view.